I need a translator! All photos by Ben Erickson. My dear high school friend (good ol’ Waseca High! ), Ben, has lived in Copenhagen for nearly 20 years. I’m glad that our early relationship was based on words because we’ve been able to stay in touch all of these years despite an ocean that separates us. He gets to Paris as often as possible and sent me these pictures from a trip in May. 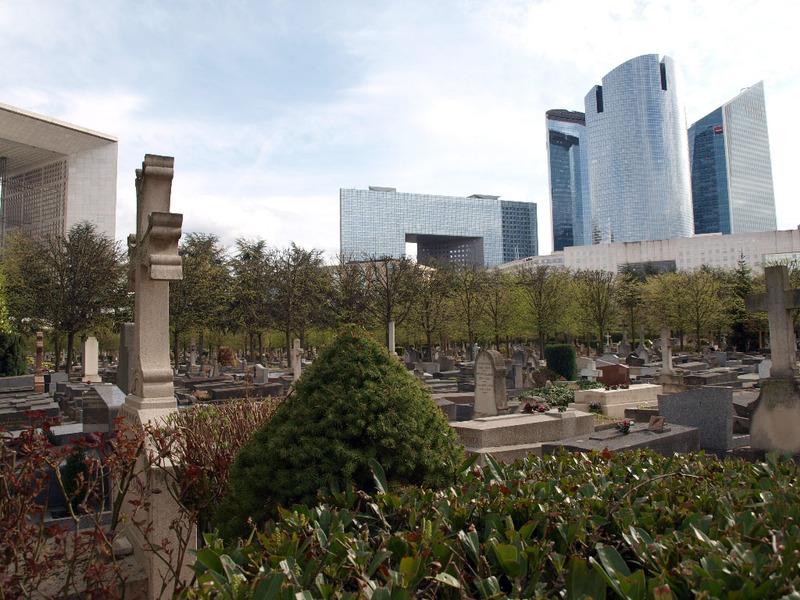 This is the cemetery in Neuilly-sur-Seine (Neuilly on the Seine), which Ben describes as just outside of Paris, kind of like a suburb. It is the home of La Defence, a business district built up with skyscrapers and other modern architecture that serves as a stark contrast to historical Paris. You can see how the historical sits right in the shadow of the modern. Not everyone is pleased with this area of Paris–a little too modern, a little too suburban. But Neuilly-sur-Seine is affluent and historically rich, a place where artists, intellectuals, and dreamers coalesced, including one of my favorite writers, Anais Nin. It also was home to the French carrosserie industry (automobile coachbuilding—Ben’s point of expertise). 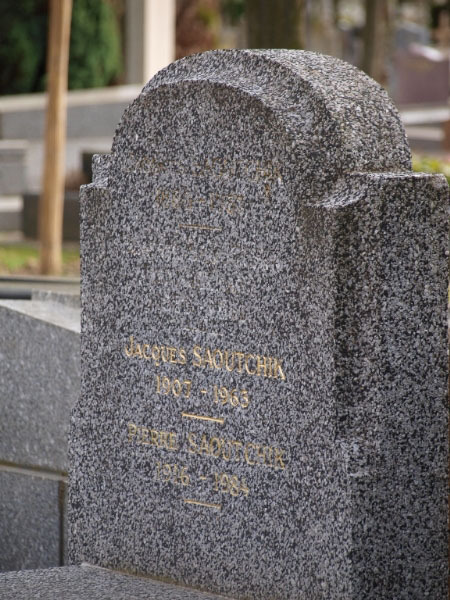 This is the grave of Jacques Saoutchik, the carrosserie born in Belarus as Iakov Savtchuk. Saoutchik is the subject of the next book from Ben and Peter M. Larsen, who are the authors of Talbot-Lago Grand Sport, The Car from Paris, published by Dalton Watson Fine Books. Here’s Ben’s author bio page. 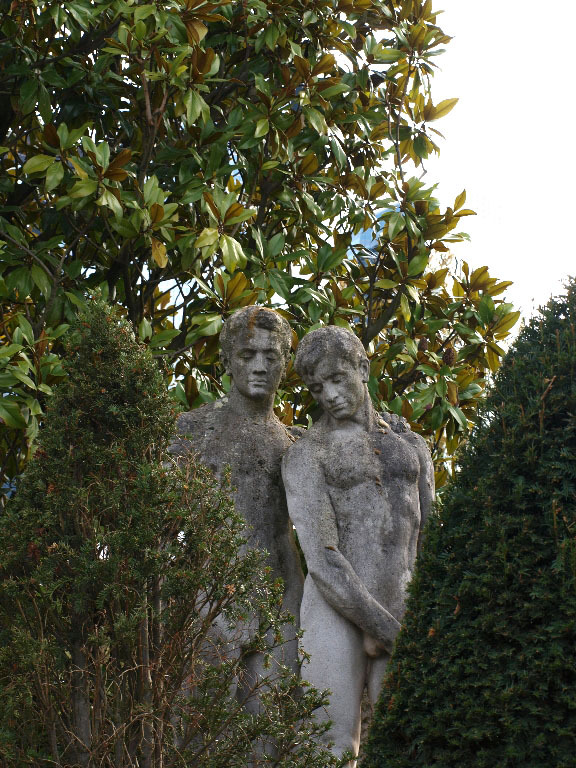 This statue of two young men from the French Revolution is at the cemetery’s entrance. Thanks, Ben, for these great photos and information. 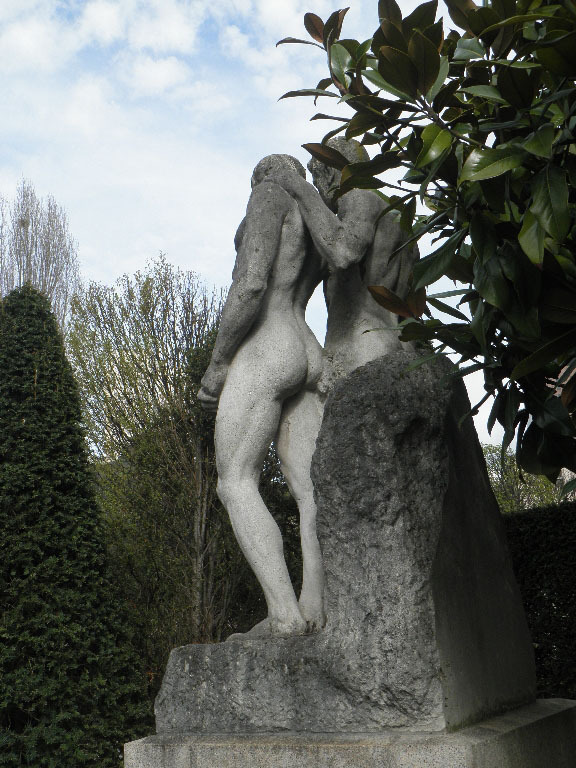 Maybe one day we can meet up in Paris and go to Pere Lachaise. I’ve been searching for family in and around Paris. I’ve been told that some Brucks were buried in a cemetery in Nuilly. Not the one where Sarah Bernhardt is even though she was a cousin somewhere along the way. Could you share the name of the one where your friend took the pictures? I’d certainly appreciate it. 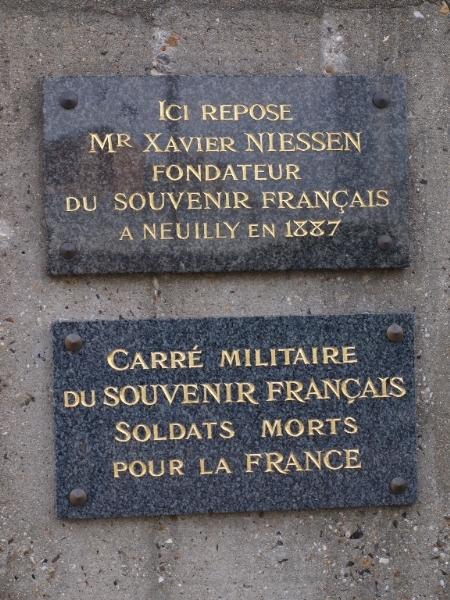 I think the cemetery is simply known as Neuilly-sur-Seine in Paris. That’s as much as I know! Thank you! I’ll give it another try. have a great day.